I HAVE TO BLOW START MY CAR? As the result of pressure from lobbying groups, the federal government has increased the pressure on the States to take measures to ensure repeat offenders do not drink and drive and in some cases, consume alcohol at all. Similar to the same methods used to force the States to lower the legal limit from .10 to .08 and increase the legal drinking age to 21, the Federal government threatens to withhold highway money unless the States change their state laws to reflect the demands of the federal government. The most widely used method to prevent drunk drivers from re-offending is the required installation of an ignition interlock device. We call this device the “blow and go.” There are several companies offering these devices which are all essentially the same device. These companies include Smart Start and Guardian Interlock. An ignition interlock is basically a portable bare bones breathalyzer. However, it does not have the same screening filters to keep out other interferents like the bigger machines used by law enforcement agencies. The device attaches to your vehicle under the dash near the driver’s right leg. It is installed directly into the ignition system of your vehicle. According to the manufacturers, the devices do not cause any permanent damage to your vehicle. The devices are small with an approximate size of 3.5 inches by 6 inches. This box will have a blow tube on one end and a cord similar to a telephone cord on the other end extending under the dash. In order to start your vehicle, you will have to blow into the ignition interlock device. If any alcohol is detected in your breath, your car won’t start. Hmmmm… I’ll just have my sober friend blow and I’ll be off. Nice thinking, but usually you will have to blow again after you drive a while. The only way around this would be to take your friend that hasn’t consumed any alcohol with you. Recently, there has been a trend amongst the courts to have the ignition interlock device with a built-in camera in order to prevent anyone from cheating. Texas requires a court to determine whether the person before the court has been convicted of a DWI. If you already have a previous DWI conviction, a court may order as a condition of probation for you to install the ignition interlock for a specified time frame. The Court has to order you to install the ignition interlock if you have two or more convictions for DWI or if your license was suspended after a conviction for an enhanced DWI. The device will have to remain in your car for at least half of your probation. The use of ignition interlocks are excessive in some situations. For example, the device only detects alcohol but Texas requires the installation of the device even when your suspension is the result of driving while intoxicated from prescription medicine. Toyota has recently announced the introduction of vehicles that have what amounts to an ignition interlock built into the car so it will not start if you have any alcohol in your system. Another alcohol detecting device starting to be used more and more is the SCRAM ankle monitor. The SCRAM device is an ankle monitor similar to a global position monitor used by some States and the Federal government for persons under house arrest. Think of Martha Stewart serving her house arrest on her multimillion dollar farm. This monitor communicates through a modem connected to a monitoring station which alerts the authorities if alcohol is detected. 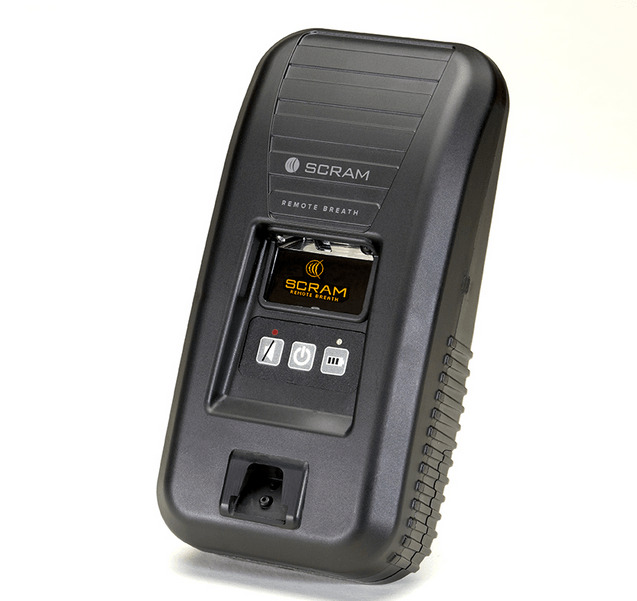 The SCRAM device uses the same technology and chemistry used in the Breathalyzer. This technology is called a fuel cell. It samples or tests the constant perspiration coming from your skin for traces of alcohol. There are several problems with fuel cell devices. They are not specific to ethyl alcohol and can produce false positives. At least one study has shown these types of transdermal alcohol measuring devices do not meet the basic scientific evidence requirements to be admissible in court.